The holiday / festival season has begun in earnest and we have some crucial hints and tips for those wanting to stay ahead of the hair fashion game as well as looking after your hair in the sun. As always, braids are top of the heap with last year’s milkmaid look taking on a whole new freshness for 2014. Accessorising your braids are a must with discreet feathers, beads, ribbons and flowers – think boho rather than bridal! Tousled waves, created with a large heated barrel curler, can give you that instant ‘just from the beach’ look without having to cover yourself in salt and sand! Use the Cloud9 Waving Wand to achieve this look combined with Alterna Beach Bamboo Summer Ocean Waves texturising spray. Top Knots are so last year! Instead go for grown-up bunches with a twist, add in extra bands to give them definition or twist in some beads for a playful edge..
Sebastian Trilliant - This product is shaken to activate the complex that protects the hair from heat damage. 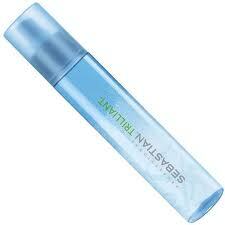 Sebastian Trilliant Thermal Protection Spray retails at £19.60. Neal & Wolf Guard - Silk Proteins help to lock in moisture, protecting hair from 220 degree heat. Guard Heat Protection Spray is available for £11.95. Alterna Anti-Breakage Thermal Protectant Spray - Protects from up to 220 degree heat and reduces damage by 87% by locking in essential proteins and nutrients whilst also forming a protective barrier to prevent future damage. Alterna Anti-Breakage Thermal Protectant Spray retails at £23.00. Wella Thermal Image - Shields the hair from heat damage caused by styling irons and dryers. 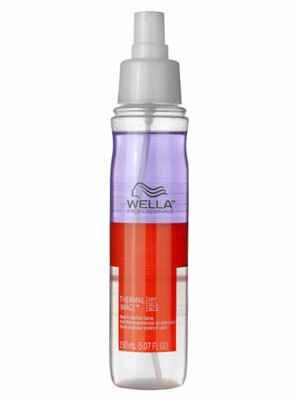 Wella Thermal Image Protection Spray is available at £11.00. Cloud 9 Magical Quick Dry Potion - Halves the drying time of hair – another shake to activate product that conditions and protects the hair as well as helping to eliminate any troublesome frizz! This product retails at £17.95. However, the most important way to keep your hair healthy, especially during the holidays is to make sure that you have regular cuts!